I love both hummus and taramasalata, and thought they’d be a great pair of things to make to snack on together with some nice slices of toast. I regularly make hummus, but have never made my own taramasalata before, so I was keen to try that out. Both are very simple recipes and wouldn’t take long to make. To start, the taramasalata. 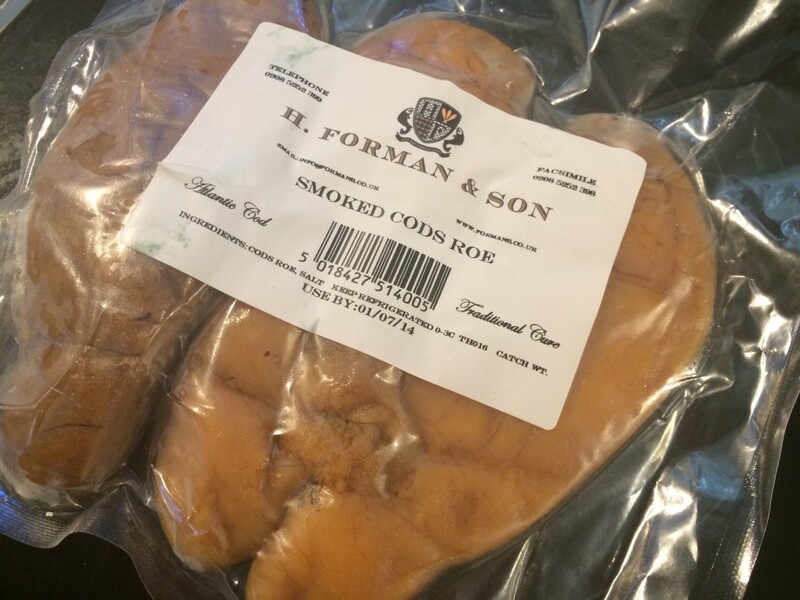 I thought I’d find smoked cod’s roe difficult to find, but no, Ocado sell it. The difficult bit was actually following the first instruction, which was to skin it. 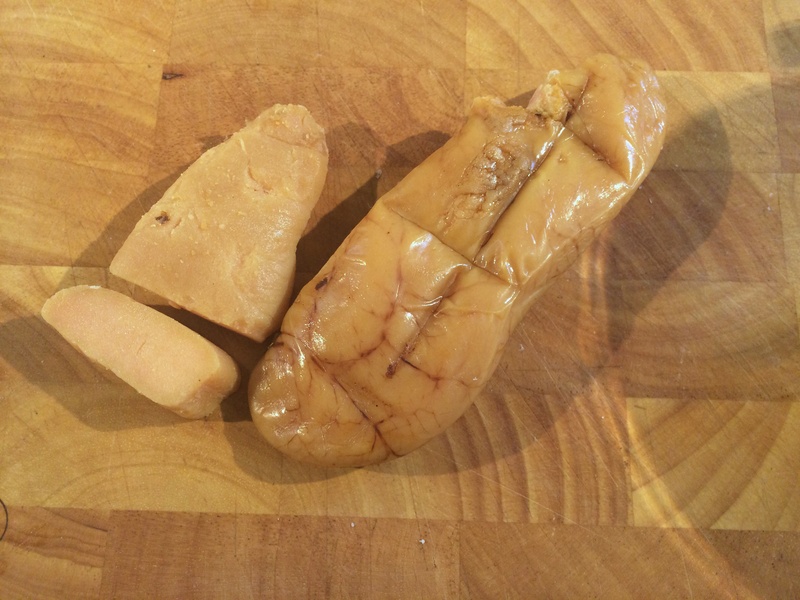 Do you have any idea how hard it is to peel the skin off a smoked cod’s roe? Very difficult, is the answer. Well, it’s not so much difficult, as tedious. The skin shreds easily and I ended up peeling much of it off painstakingly in small slivers. Ho hum. Next, I needed the juice of one large onion. Apparently, to juice an onion, you chop your onion, blend it in a food processor, then place it in a square of muslin and squeeze it until all the juice comes out. I did just that, and so I had a bowl of very oniony liquid. Then, breadcrumbs first soaked in milk, then drained and squeezed. 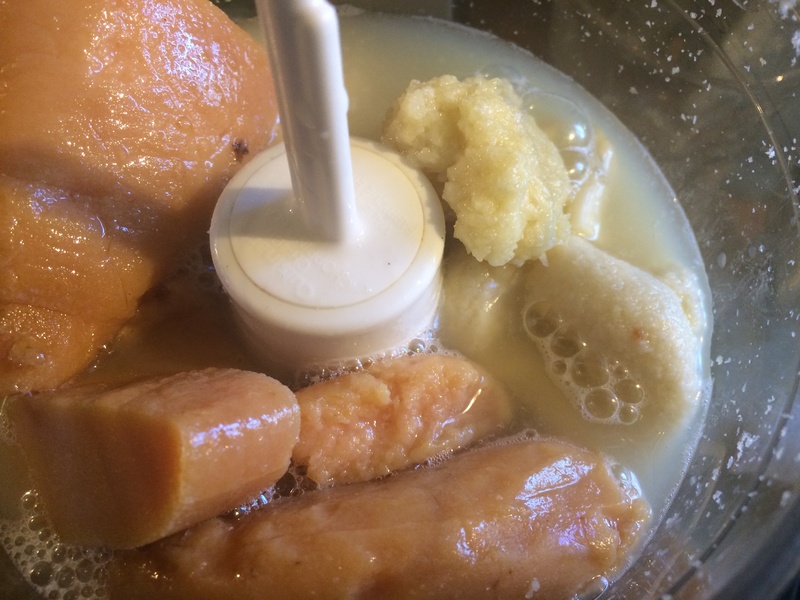 They went into a food processor, together with the roe, some garlic, lemon juice and the onion juice. I added a generous amount of freshly ground black pepper and blended until smooth. 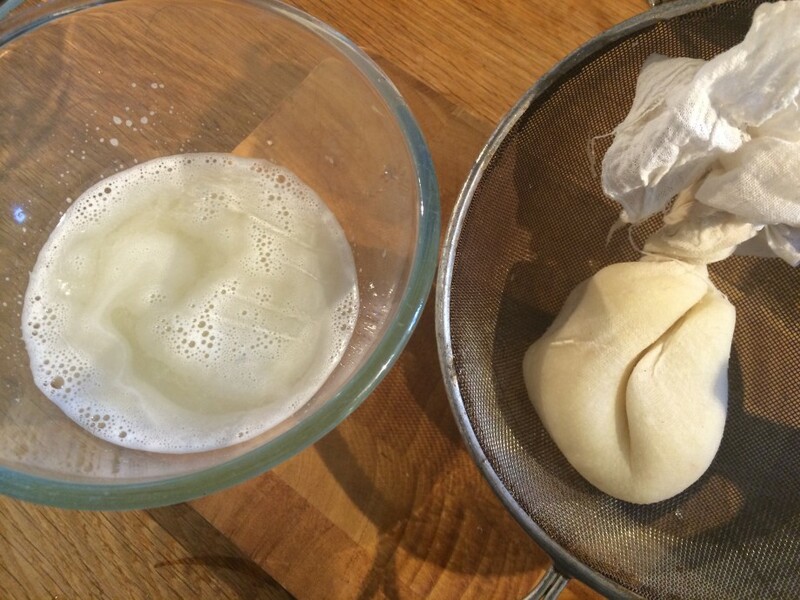 Then, pour in olive oil slowly, whilst blending, just as if making mayonnaise. Next up, the hummus. As I said, I make this a lot. I usually follow Nigel Slater’s recipe in Real Fast Food. The recipe in The Prawn Cocktail Years looked essentially the same, but with one major difference – there was dramatically less tahini in this version. Nigel Slater uses a whopping six tablespoons, whilst here we had a meagre single tablespoon. I thought that sounded rather measly, but I had to try it. The recipe stated clearly that using tinned chick peas was absolutely fine, “but it is vital that they are thoroughly rinsed”. OK, fine. I don’t normally rinse them, but I’ll go with that. So, I rinsed my tin of chick peas, placed them in my food processor together with lemon juice, garlic, a tiny dollop of tahini and a little water and blended to a paste. Then I drizzled in olive oil, whilst blending, until it’s nice and creamy. Finally, season with salt, a generous dash of Tabasco and some ground cumin. And guess what. Making hummus is such a quick and easy, boring, everyday thing, that I completely forgot to take photos of the process. Just imagine a bowl of chick peas, with some brown gloopy stuff on top. That’s pretty much what it looked like. I served the hummus and taramasalata together, with slices of hot toast. The taramasalata certainly tasted like taramasalata, but it left a harsh, bitter flavour behind. Without that aftertaste, it would have probably have been quite nice, but that acrid bitterness was too much. I checked out other recipes on the Internet. They were all basically the same, except none of them included onion juice. I’m pretty sure it was the onion that was the cause of that unpleasant flavour. I will try this again, without the onion juice, but as it was, I’m afraid it was very disappointing. And the hummus? Well, it was just a regular hummus, but it was really rather bland. It needed more flavour. Really what it needed was more tahini. Again, disappointing. The leftover hummus and taramasalata languished in the fridge for a few days, and then finally got thrown in the bin. That says it all really. So, these are the first duff recipes I’ve encountered in this book. Both, I suspect, are easily fixable, but it’s a shame they didn’t work well as printed. I will definitely make both these dishes again, but I’m afraid I won’t be following The Prawn Cocktail Years’ recipes for them. 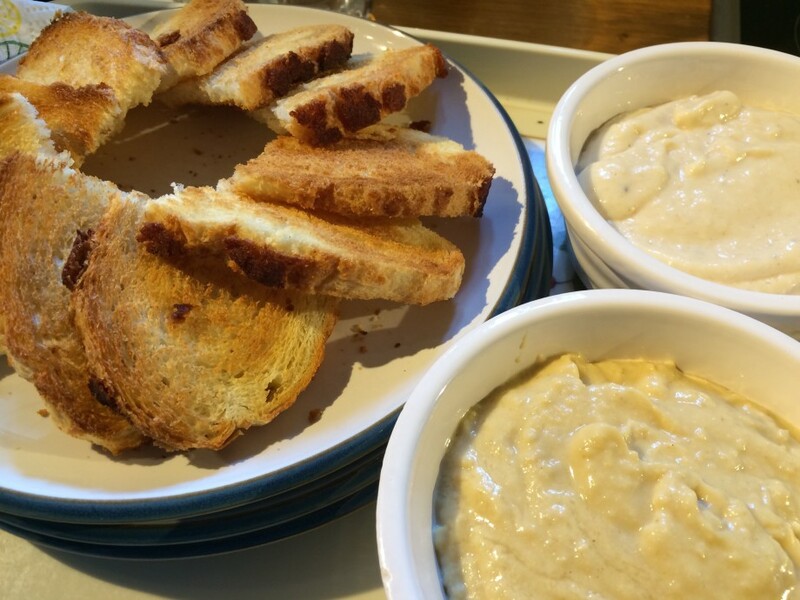 Taramasalata: Great texture – creamy but not mush. Good colour – not food colouring pink as all the shop versions seem to be for some awful reason. Initial flavour – smoked mackerel pate = good. But it soon developed a bitter onion flavour after-taste = not good. This dip leaves me with a strong after-taste for hours and makes me very thirsty. I am afraid that this spoils it for me. The hummus has a mild flavour and an excellent dipping texture. It’s soft and creamy. It might be slightly bland though. Could do with upping the flavour slightly, without too much more tahini (which can dominate and make bitter) and without loosing the texture. Update: I made a new batch of taramasalata, this time without the onion juice. It was much better. Read about that here. Did the hummus require more tahini? couldn’t you find a manual that told you to add some?I don’t like people that waste food. Oh, I know how to make hummus – I do so regularly. This one required more tahini for sure, but the whole thing was a little out of whack. I regularly recycle leftovers and turn them into other things, but in this case I clearly didn’t get around to it. Spending more time and ingredients trying to resuscitate a rather poor hummus probably didn’t seem worth it at the time.